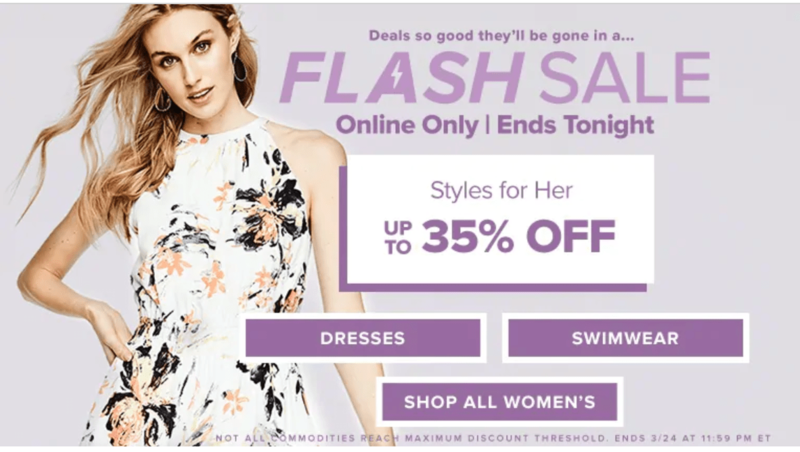 Hudson’s Bay Canada has an awesome online flash sale available online only, today March 24, 2019, until 11:59 pm ET, where you can save up to 35% off Styles for Her, that includes Dresses and Swimwear. This Flash sale ends tonight, March 24, 2019. Save $25 off on Your $175+ Regular-Price Women’s and Men’s Apparel & Accessories Purchase. Use promo code: SPRING until March 21, 2019. Save $10 off on any $75+ cosmetics & fragrances purchase.